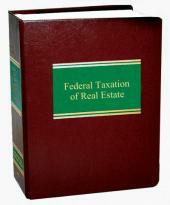 Features a detailed analysis of the regulations on eligibility requirements. 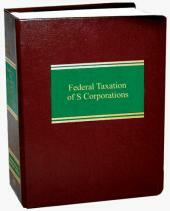 Federal Taxation of S Corporations examines: which corporations can benefit from an S corporation election; how and when to file; the major corporate "events," such as incorporation, distribution, redemption, reorganization and dissolution; treatment of interest payments made by and to S corporations; how estate planners can get maximum benefits from stock in an S corporation; and compensation problems likely to be encountered by employee-shareholders of an S corporation. The book features: a detailed analysis of the regulations on eligibility requirements; a discussion of the passive activity rules; and a valuable chapter on financially distressed S corporations. 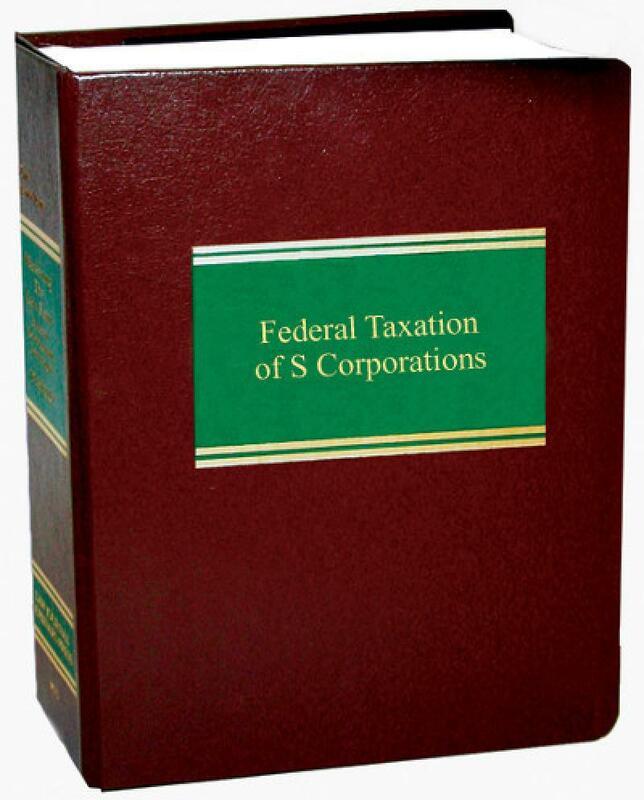 In addition, Federal Taxation of S Corporations covers all the latest administrative announcements, cases, and other developments.